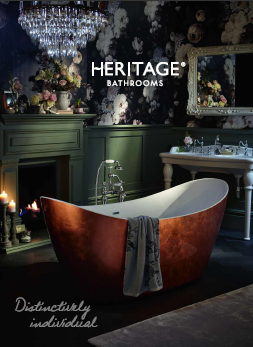 Established in Bristol in 1985, Heritage Bathrooms creates stunning bathroom suites that combine the best of British classic design with modern, reliable engineering. We design all of our products in Britain and apply stringent quality standards to everything we do, from product manufacture to after-sales service. No-nonsense product guarantees give you peace of mind for up to 25 years. If you're designing and choosing your next bathroom, you can see our products up close by visiting your local Heritage dealer. These approved partners are trained to help you with any product, design or technical queries you might have. 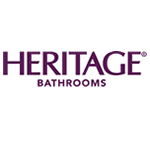 We have access to the worlds top 147 brands including Heritage Bathrooms. If you are interested in having Heritage Bathrooms Bathroom products in your home or would like these fantastic designer bathroom products specifying in your contracts then please contact our sales experts and design consultants on 0333 772 2055 or email sales@designerbathroomconcepts.com or utilise our instant live chat feature.